Galatians 1:6-11 ESV I am astonished that you are so quickly deserting him who called you in the grace of Christ and are turning to a different gospel — not that there is another one, but there are some who trouble you and want to distort the gospel of Christ. But even if we or an angel from heaven should preach to you a gospel contrary to the one we preached to you, let him be accursed. As we have said before, so now I say again: If anyone is preaching to you a gospel contrary to the one you received, let him be accursed. For am I now seeking the approval of man, or of God? Or am I trying to please man? If I were still trying to please man, I would not be a servant of Christ. For I would have you know, brothers, that the gospel that was preached by me is not man’s gospel. Prevention is better than cure. This applies to abuse within the church as well as to our physical health. It is better for us to create an environment in our churches that is alien and hostile to evil. A place where righteousness and truth reign to a degree that evil just has to leave because it is exposed. The question is, why aren’t our churches such places? And apparently it is not exaggerating to say that they are not because victims of abuse come with the same stories over and over about how their abuser was able to hide, was able to gain allies, was able to be enabled within a local church. What has gone wrong? I am not proposing a complete answer here. I suppose there are numbers of reasons for this sad state of affairs. But I am going to offer what I believe to be a very primary cause for evil’s comfort in our local churches, and it is this: that we have so compromised and changed the gospel of Christ that it is no longer the gospel. It has been gutted of power to save and is, instead, filling our pews with unregenerate people who are quite confident that they are Christians. The Death of Death in the Death of Christ (Owen Works, X:139:148) is a polemical piece, designed to show among other things, that the doctrine of universal redemption is unscriptural and destructive of the gospel. There are many, therefore, to whom it is not likely to be of interest. Those who see no need for doctrinal exactness and have no time for theological debates which show up divisions between so-called evangelicals may well regret its reappearance. Some may find the very sound of Owen’s thesis so shocking that they will refuse to read his book at all, so passionate a thing is prejudice, and so proud are we of our theological shibboleths. But it is hoped that this classic may find itself readers of a different spirit. There are signs today of a new upsurge of interest in the theology of the Bible: a new readiness to test traditions, to search the Scriptures and to think through the faith. It is to those who share this readiness that Owen’s treatise is now offered, in the belief that it will help us in one of the most urgent tasks facing evangelical Christendom today — the recovery of the gospel. This last remark may cause some raising of eyebrows, but it seems to be warranted by the facts. “There is no doubt that evangelicalism today is in a state of perplexity and unsettlement. In such matters as the practice of evangelism, the teaching of holiness, the building up of local church life, the pastor’s dealing with souls and the exercise of discipline, there is evidence of widespread dissatisfaction with things as they are and or equally widespread uncertainty as to the road ahead. This is a complex phenomenon, to which many factors have contributed; but, if we go to the root of the matter, we shall find that these perplexities are all ultimately due to our having lost our grip on the biblical gospel. Without realizing it, we have during the past century bartered that gospel for a substitute product which, though it looks similar enough in points of detail, is as a whole a decidedly different thing. Hence our troubles; for the substitute product does not answer the ends for which the authentic gospel has in past days proved itself so mighty. Why? We would suggest that the reason lies in its own character and content. It fails to make men God-centered in their thoughts and God-fearing in their hearts because this is not primarily what it is trying to do. One way of stating the difference between it and the old gospel is to say that it is too exclusively concerned to be ‘helpful’ to man – to bring peace, comfort, happiness, satisfaction – and too little concerned to glorify God. The old gospel was ‘helpful’, too – more so, indeed, than is the new – but (so to speak) incidentally, for its first concern was always to give glory to God. It was always and essentially a proclamation of divine sovereignty in mercy and judgment, a summons to bow down and worship the mighty Lord on whom man depends for all good, both in nature and in grace. Its center of reference was unambiguously God. But in the new gospel the center of reference is man. This is just to say that the old gospel was religious in a way that the new gospel is not. Whereas the chief aim of the old was to teach people to worship God, the concern of the new seems limited to making them feel better. The subject of the old gospel was God and his ways with men; the subject of the new is man and the help God gives him. There is a world of difference. The whole perspective and emphasis of gospel preaching has changed. From this change of interest has sprung a change of content, for the new gospel has in effect reformulated the biblical message in the supposed interests of ‘helpfulness’. Accordingly, the themes of man’s natural inability to believe, of God’s free election being the ultimate cause of salvation, and of Christ dying specifically for his sheep are not preached. These doctrines, it would be said, are not ‘helpful’; they would drive sinners to despair, by suggesting to them that it is not in their own power to be saved through Christ. (The possibility that such despair might be salutary is not considered: it is taken for granted that it cannot be, because it is so shattering to our self-esteem.) However this may be (and we shall say more about it later), the result of these omissions is that part of the biblical gospel is now preached as if it were the whole of that gospel; and a half-truth masquerading as the whole truth becomes a complete untruth. Thus, we appeal to men as if they all had the ability to receive Christ at any time; we speak of his redeeming work as if he had make it possible for us to save ourselves by believing; we speak of God’s love as if it were no more than a general willingness to receive any who will turn and trust; and we depict the Father and the Son, not as sovereignly active in drawing sinners to themselves, but as waiting in quiet impotence ‘at the door of our hearts’ for us to let them in. 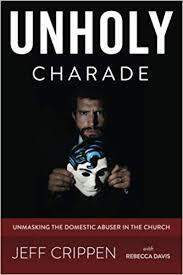 What can a pastor do in order to render justice to abuse victims and deal rightly with abusers? He can embrace the real gospel of Jesus Christ and preach it with no compromise. In doing so, he will restore the place of real faith and repentance where counterfeits now reign. He will see the power of the Word of God do a holy threshing work in his church, sending wolves and chaff scurrying. He will see his church (though most certainly smaller in number) become a place where righteousness is hungered and thirsted after. But it is going to cost. Following Christ always costs. At least for now. Absolutely beautiful! To the core! This is exactly what has been going on for years in church’s and para-church organizations. The fallacy of a “ carnal Christian”. That someone can somehow be saved but act like the devil has caused much pain and confusion. This false doctrine has allowed wolves to obliterate the true sheep. If you’re a Christian you can’t be an abuser! Yes, the old “carnal Christian” nonsense based on a distortion of 1 Cor 3. “Well, you can’t judge you know. He’s a carnal Christian.” So the wicked get a get out of hell free card and we are expected to relate to them as if they are saved.